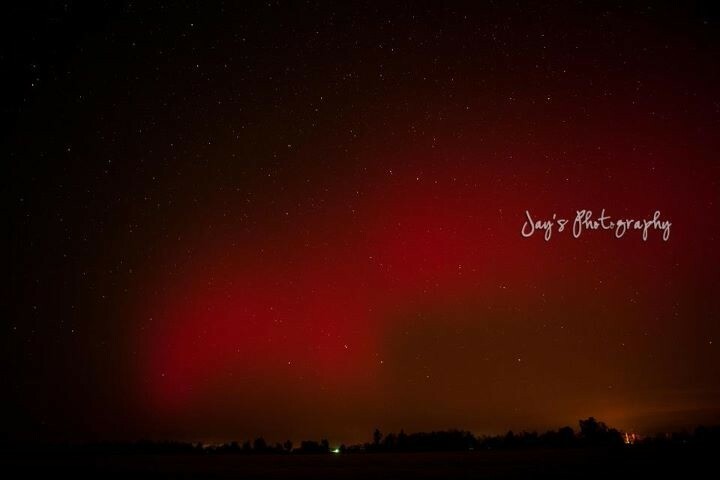 On the evening of October 24 around 9pm, I was checking my Twitter feed when people started reporting seeing a red glow in the sky across the southern states, including many Mid-South locations. Reports from NC to AR, including locations as far south as northern AL and MS, were flooding my feed of mainly weather and news accounts. Quick sleuthing and some timely and informative tweets pointed to the event being a rare Aurora Borealis, which resulted from a coronal mass ejection from the sun early that afternoon. The image below was one that I highlighted in a blog post that evening that further described the event, including what causes the Aurora and why it was red. While not unprecedented, it has been years since the Aurora has been visible this far south in the U.S. Perhaps more of this type of solar activity will be possible as the lately-dormant sun enters an active sunspot period that peaks in a little over a year? While not a "weather event," one of the facets of weather reporting that has taken off in the past year is the explosion in nowcasting the weather via social media. Nowcasting is very-short-term forecasting, most often encompassing only the next 1-4 hours. More and more, operational meteorologists, broadcast professionals, and even enthusiasts are turning to Facebook and Twitter to update their audience on current weather events and solicit reports, particularly during severe weather episodes. Even the National Weather Service has begun using social media. MWN is proud to have been at the forefront of this new style of weather reporting, having started nowcasting for the Memphis metropolitan area nearly three years ago in the spring of 2009. Thanks to some wild weather in greater Memphis this past year (more on these events as we continue the countdown) and momentum generated during our first couple of years on social media, MWN's nowcasting service quickly became well-known. We are proud to say that we went "wall-to-wall" for every severe and winter event in 2011 and the growth in our follower-ship responded accordingly, tripling on both Facebook and Twitter! Thank you for trusting us to keep you updated, safe, and informed during hazardous (and even placid) weather conditions! There will be plenty of weather events in our Top 11 (in fact, we're saving many of the top spots just for those), but one other weather "story" for MemphisWeather.net this year was the addition of a few individuals to our team that allowed us to grow exponentially and expand our product and service offerings that directly benefit you. Though not employed by MWN, one of the best decisions I made in early 2011 was contracting with Ben Deming (@bendeming) to design and code our first-ever mobile applications. Ben possesses a very broad skill set that allowed him to develop not only our iPhone app, but also an Android app, and assist with other minor software and server-related issues. 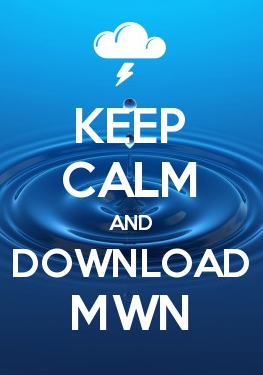 Late this summer, a decision was made that, to continue to keep up the ambitious pace that MWN had grown to, we needed some help. The search began for individual with basic meteorology knowledge that was also teachable, interested in social media, and a good communicator, among other things. It didn't take long to find the person who has evolved into my right hand man - social media nowcaster and blogger, Kevin Terry (@jterry0). Kevin quickly embraced the mission of MWN, took over a sizable part of the nowcasting requirements, and allowed me to work on expanding MWN's presence through new services and marketing efforts. Kevin will remain with MWN through at least June 2012. Though those are the two individuals I deal with most often, there are certainly others whose contributions have allowed MWN to rapidly expand this year. They include: Wayne Randall, owner of IT company Nextek, whose generous offer of server space in his data center ensures the reliable delivery of products and services to MWN; Amy Howell (@howellmarketing) and Alys Drake (@alysdrake) of world-class marketing firm Howell Marketing Strategies, who assist in making sure the MWN story is told; and countless others in Memphis and Mid-South social media and business circles who help us disseminate our words and information to the masses - you know who you are, and we thank you! Those are the first 3 of the "Top 11 of '11"! We'll reveal a couple more each day through New Year's Eve here on the MWN Blog (and I promise they won't be weighted nearly as heavily on MWN but much more about actual weather events!). What Mid-South weather event do you think should be #1 this year?